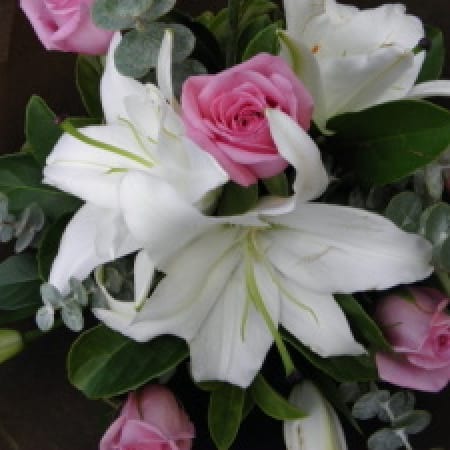 Amaranthine`s Hope Bouquet is a classic and stunning combination of fragrance and longevity. A floral delight with the long lasting oriental lillies, and romantic and timeless roses, surrounded by mixed foliages in native gum and vibernum. A beautiful way to let someone special know you care. Created by Amaranthine Flowers By Design, New Lambton, Newcastle and delivered in a convenient temporary vase.